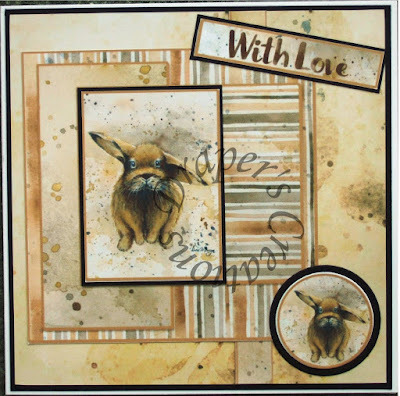 As usual anything you care to enter is fine, a card, scrap layout, mixed media piece, some home decor, as long as it has lots of layers to match the theme. Today I prepared an invitation for a baptism. I used blue papers - it's for boy. 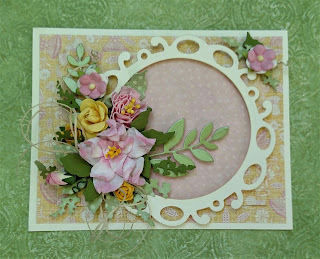 Added chipboard which I covered by embossing powder, Marianne Design doily and flowers with leaves. 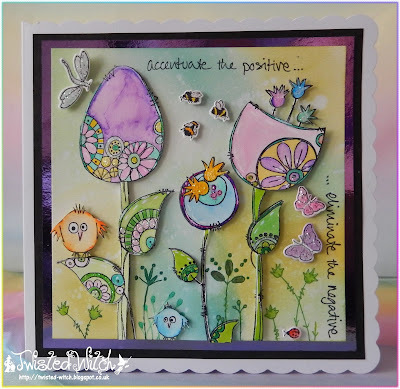 An image from Delicious Doodles coloured with pencils, papers from Papermania, die cuts from Spellbinders and Tattered Lace and a computer-generated sentiment, and lots of layers! I have used toppers and papers printed using My Craft Studio's Wondrous Wildlife CD ROM. 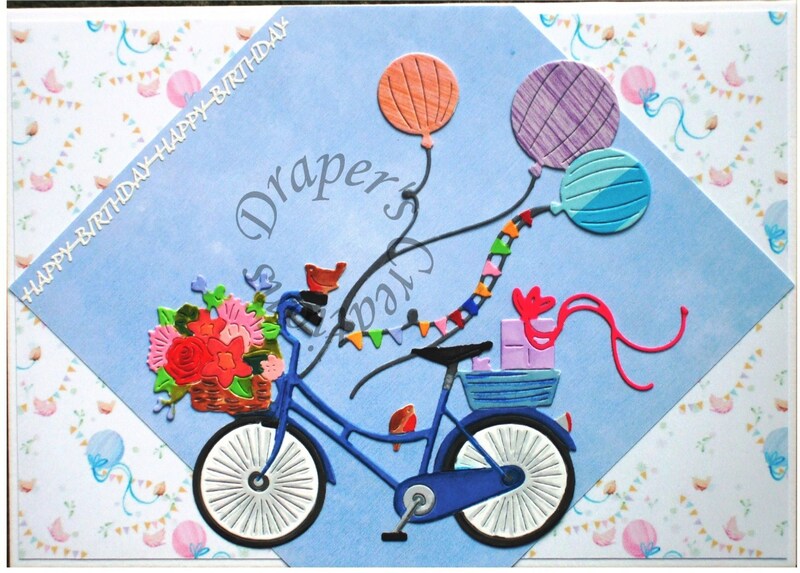 I made this card for my husband's birthday. 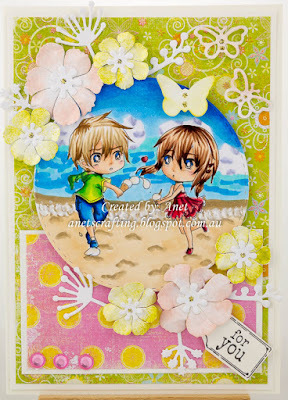 The digital image is by SLS lines which was coloured with Copic Markers. 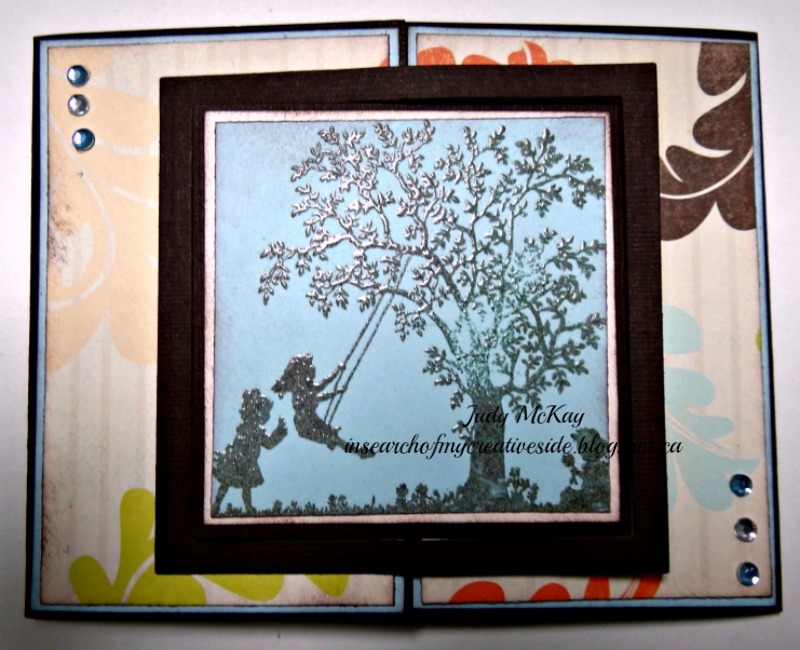 The card is for my BIL and features a QKR image,and has seven layers. 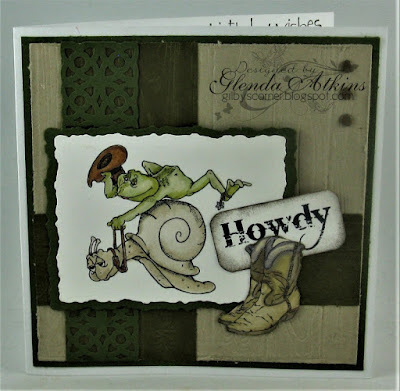 His birthday follows shortly after the Calgary Stampede (he is from Calgary) so thought he would enjoy it. 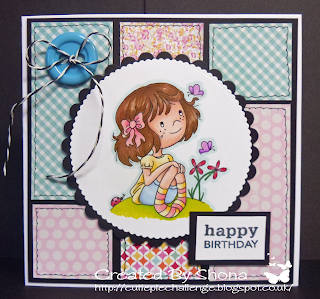 The card I have created is for a very close friend's birthday. 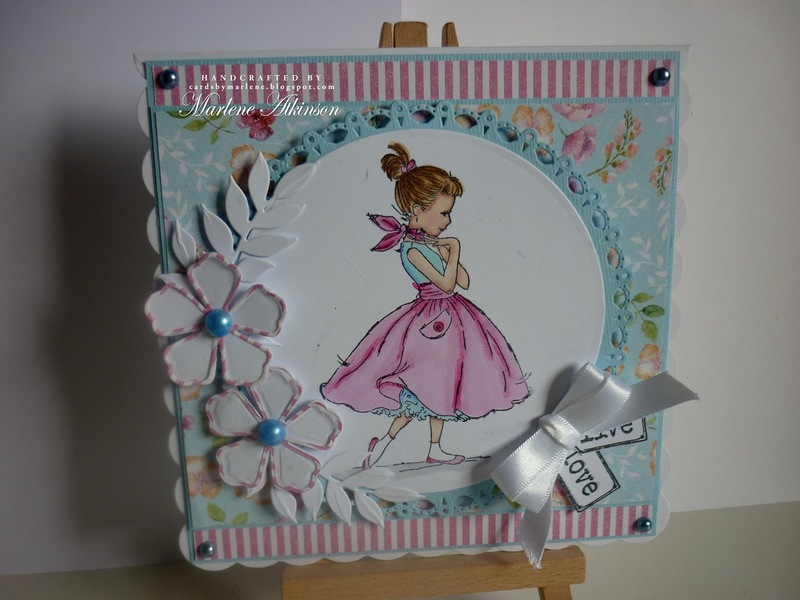 I have used 3 paper layers, 1 of corrugated board, 1 of chipboard and two tags .. 7 layers in all. 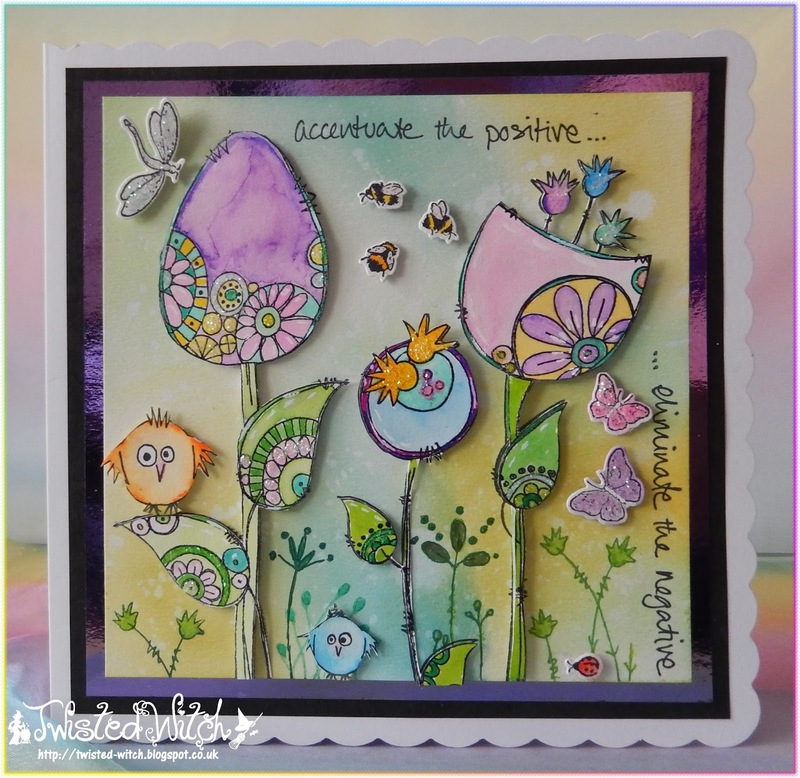 For my card I have used a Hummingbird stamp and some papers from Craftwork Cards to create my layered project. 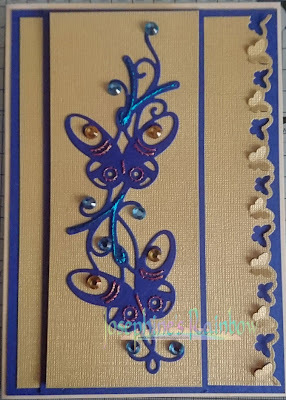 I don't usually have lots and lots of layers on my cards - so for this one I thought I would keep it relatively simple and used a Hunkydory stackable pad I got for my birthday. 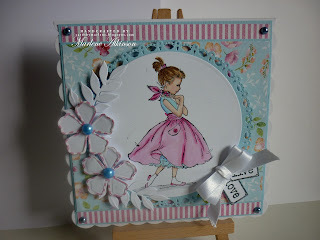 All the elements came from 2 sheets in the pack, apart from the gold mirri card I used for the base layers of each bit. I counted up to 6 layers if you counted the ribbon strips! 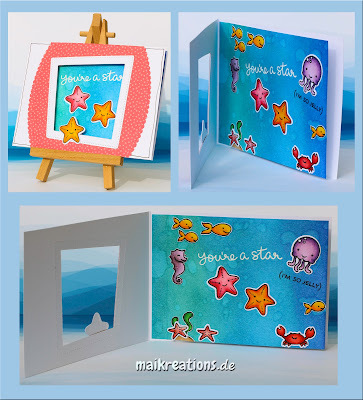 I have used many different stamps by Lawn Fawn to create an underwater scene. With the theme "Many Layers" in mind I used some patterned paper and a frame o the front, layering one of the star fish on top of the frame. 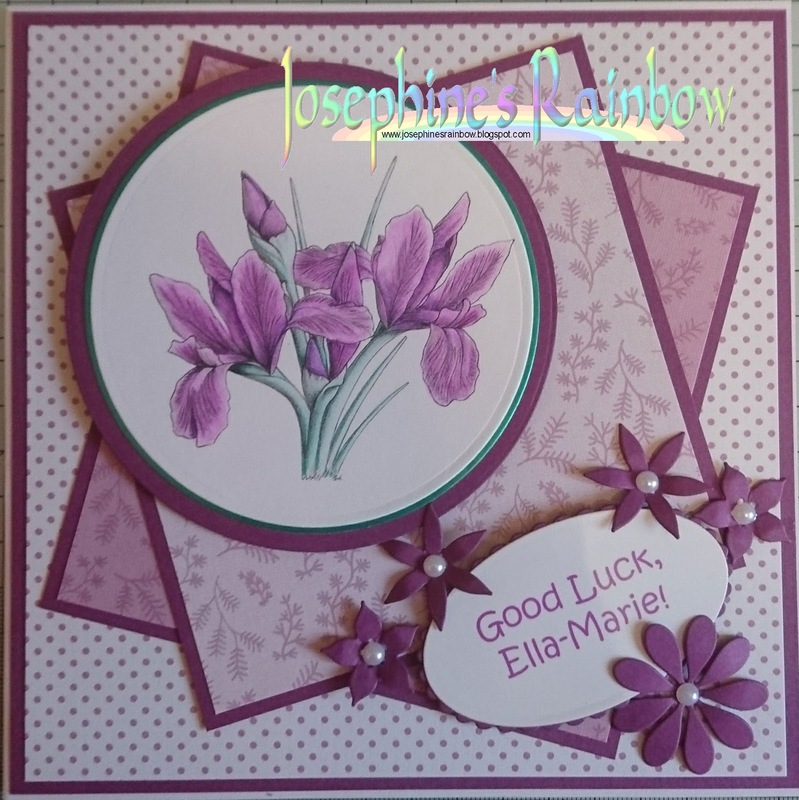 Also the inside of the card is actually another layer that you can lift to write a message beneath. This challenge will run for the normal two weeks and finish on 30th July, but we will then be taking a break until August 21st! 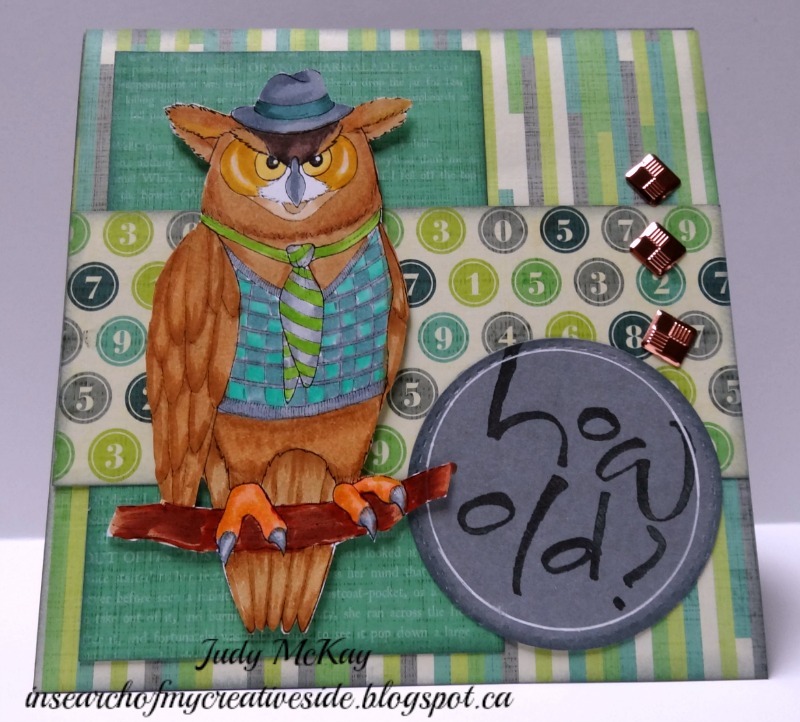 Marlene is hosting our challenge today, and the theme is Tic, Tac, Toe. 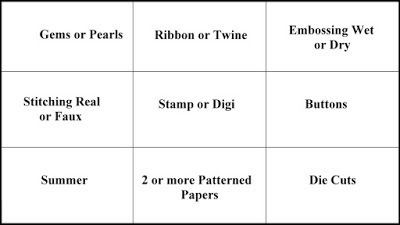 Please choose a line from the grid below, either top to bottom, left to right, or diagonally. 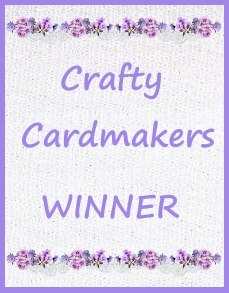 As usual anything you care to enter is fine, a card, scrap layout, mixed media piece, some home decor, as long as your all the items in one straight line from the grid. Please mention in your post which line you are using so we can check quickly that it complies! 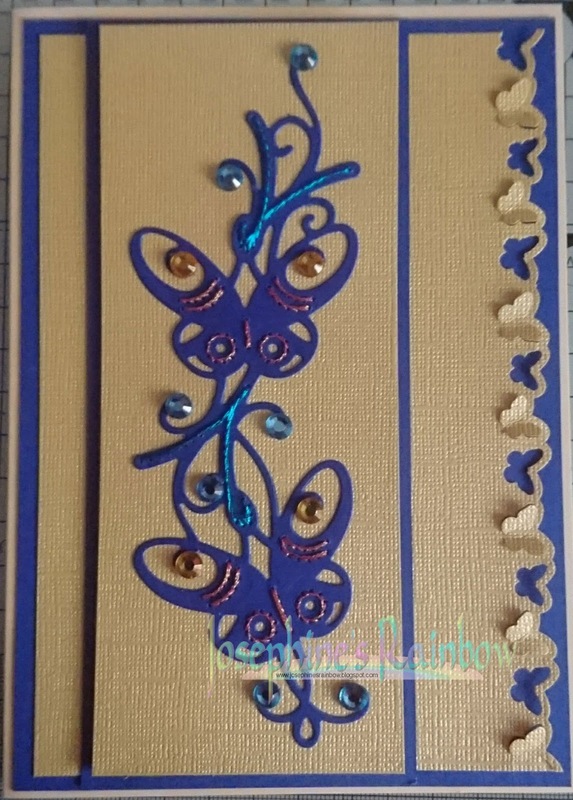 I've followed the left-hand vertical line, so I've got stitching, gems, and I don't know about you, but butterflies definitely mean summer to me! 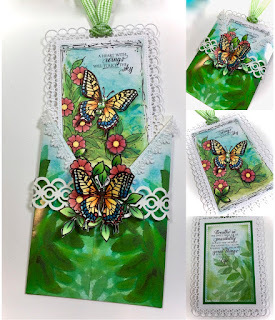 I've used a Tonic Sew Pretty die and a Martha Stewart border punch for my butterflies. 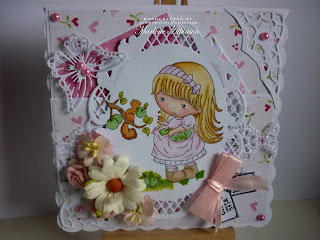 I followed the line from bottom right hand side to top left, summer, stamp or Digi and embossing wet or dry. 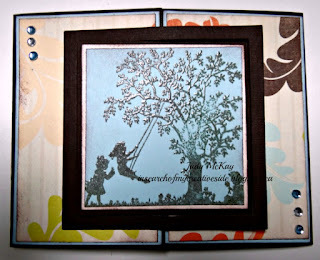 I used an silhouette stamp that I embossed with a black and silver embossing powder. 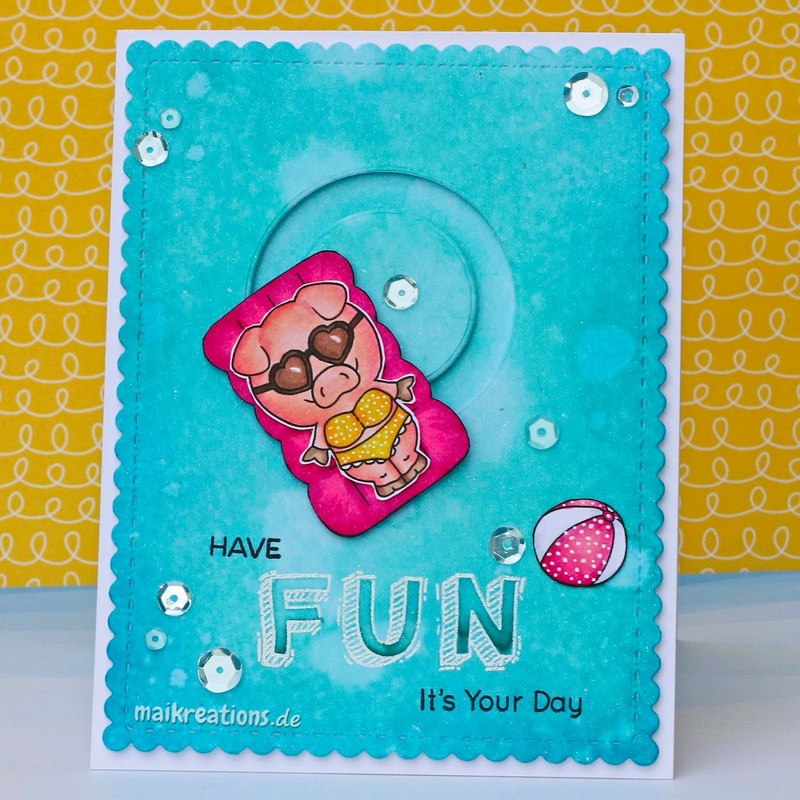 I love the summer scene. 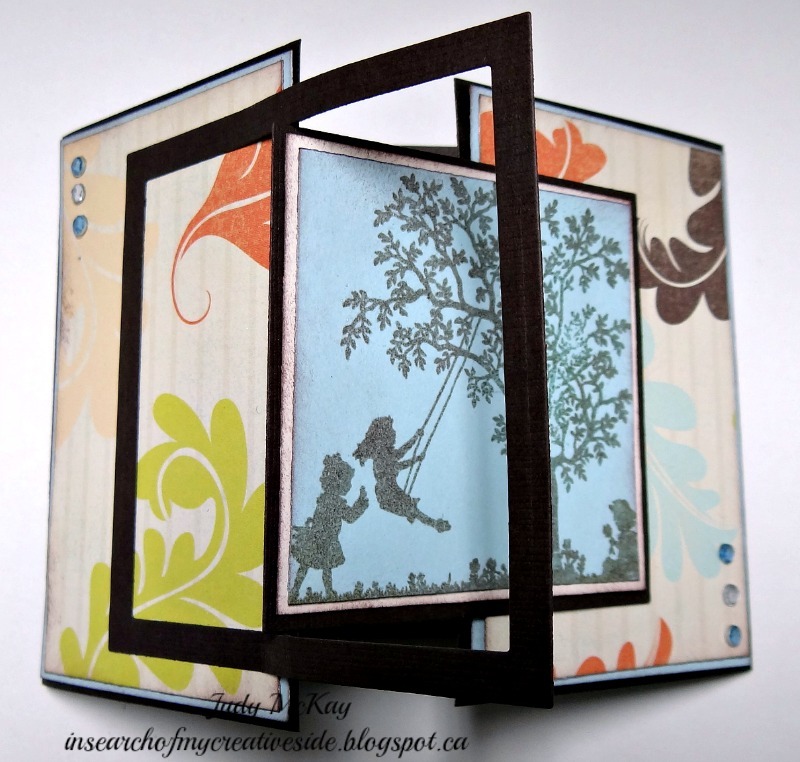 I used the tri-fold card and added an extra frame. I used the bottom row of the grid. 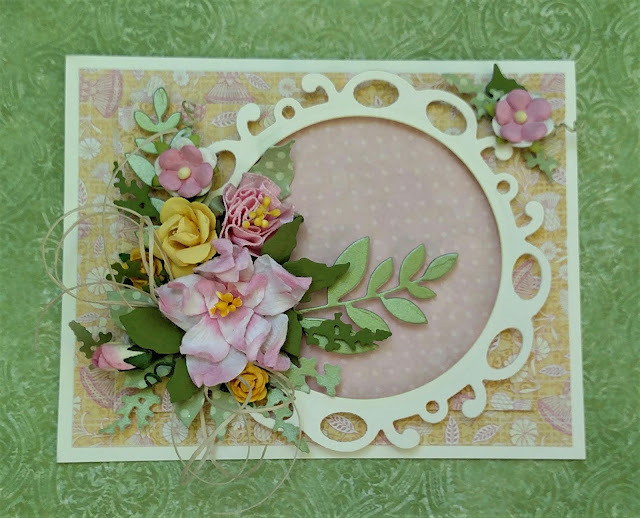 The background papers are from Tattered Lace's Village fete CD ROM and the digi,also from Tattered Lace, is called summer breeze. 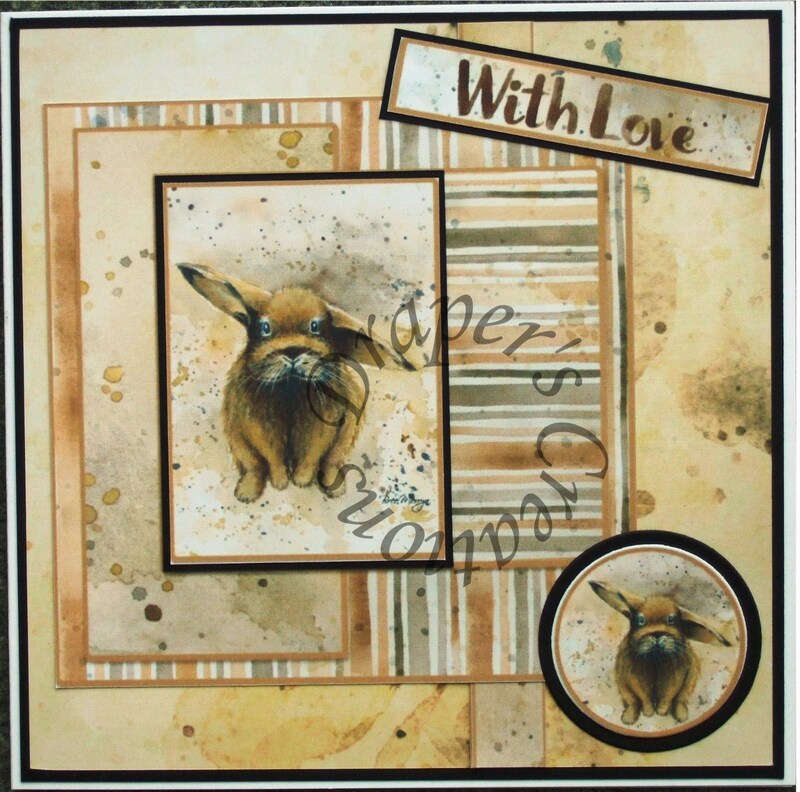 I used the diagonal line from top left 'Gems or Pearls', down to the bottom right 'Die Cuts'. 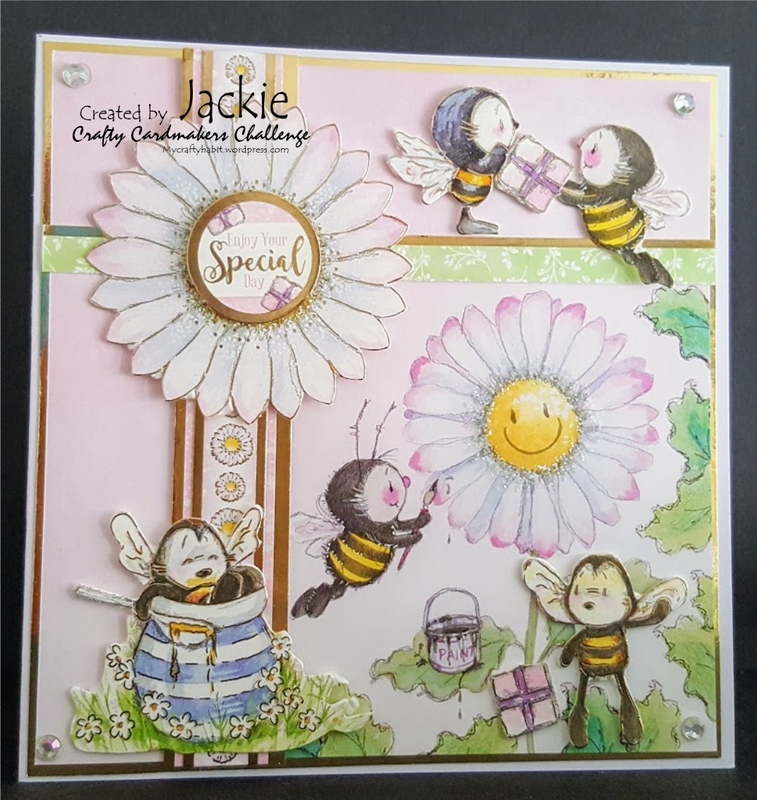 I made a card for gold anniversary. I used line: pearls - digi - dies. 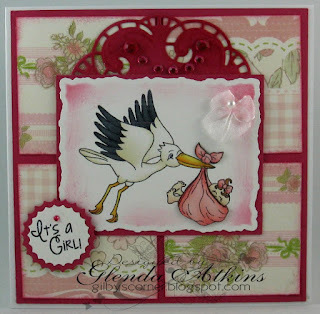 For this card I chose Gems, Stamps and Die Cuts. 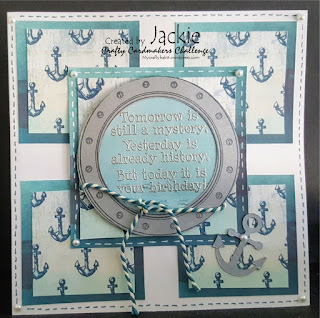 I had lots of left over pieces from an earlier project so this was a good time to use them up. What can I say, it's different! I have followed the diagonal line from the bottom left to the top right and had a lot of fun creating this summer card using images from Gerda Steiner Designs. 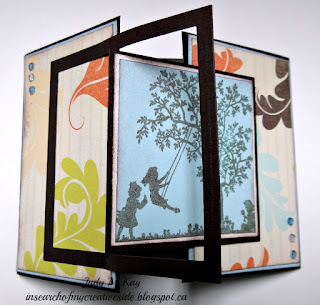 I chose to follow Summer, Stamp and Dry Embossing for this challenge. 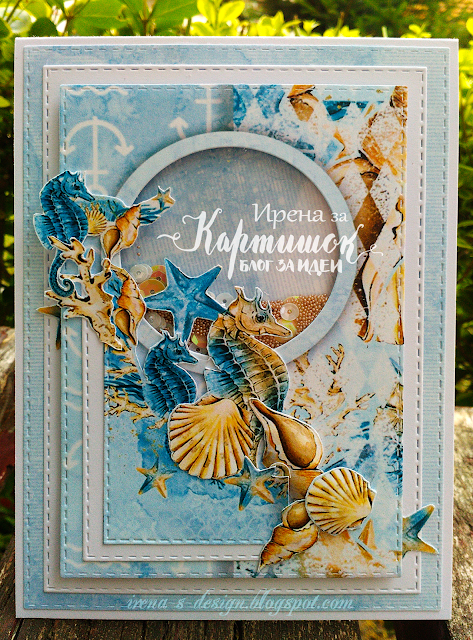 This gorgeous mermaid is from Impression Obsession, the sentiment is Rubbernecker and the embossing folder is Taylored Expressions. 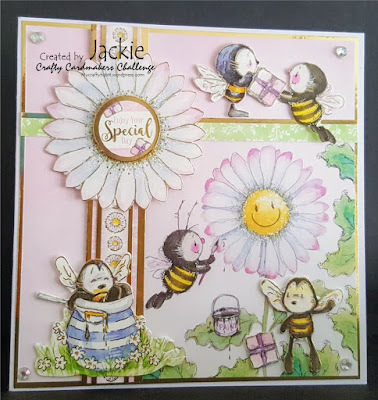 A very fun challenge! 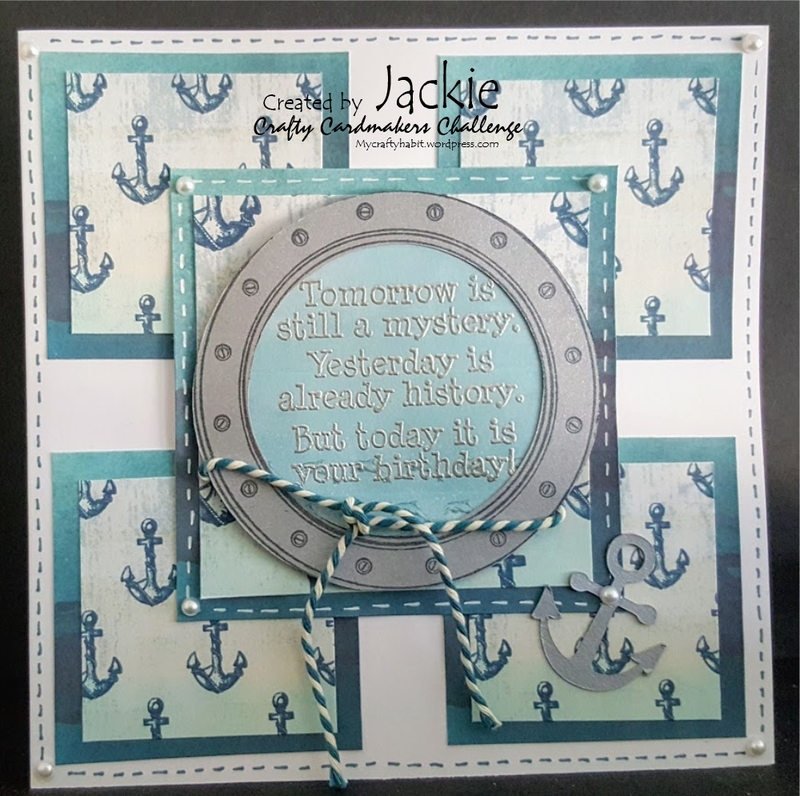 I went for the top line with my card - Gems, ribbon or twine and embossing (heat) for my nautically flavoured card this time. 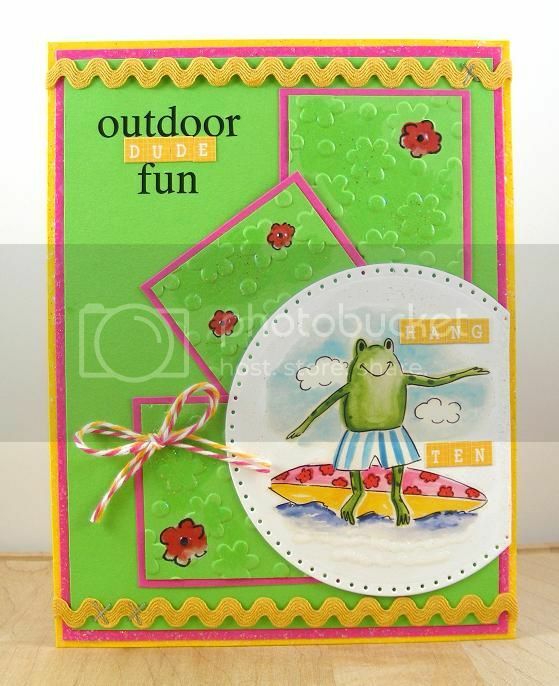 I chose to go diagonally with Summer - love seeing hot air balloons on a lovely summer evening Stamp/digi - Hot air balloons stamps by PTI and Embossing - cloud embossing folder. The hot air balloons and cloud dies are also by PTI.